July 1-3:Smokey Joes Caf @ the Highlands Playhouse. Musical theatrical revue celebrating the songwriters Jerry Leiber and Mike Stoller, two men who are credited in the invention of Rock n Roll. Their timeless songs provide the basis for this electrifying show that had critics raving and audiences stampeding the box office during its record-breaking Broadway run. Smokey Joes Caf features nearly 40 of the greatest songs ever recorded including hits such as On Broadway, Hound Dog, Jailhouse Rock,Stand By Me, Spanish Harlem, Love Potion #9and Im A Woman. With each song becoming a trip down the corridors of American culture, Smokey Joes Caf transforms classic pop music into compelling musical theatre. Smokey Joes Caf was nominated for seven Tony Awards and the Original Broadway cast soundtrack, Smokey Joes Caf: The Songs Of Leiber And Stoller won a Grammy award in 1995. For more information, call 828-526-2695 or visit www.highlandsplayhouse.org. July 1-11:2010 World Cup at The Rib Shack and Sports Center - Gather at highlands only sports bar for a front-row view on several wide-screen High-Definition TV's. Wear a jersey representing one of the teams playing that day and enjoy six free wings with the purchase of a beverage. The most extreme fan, based on appearance and team spirit, will be chosen at the end of the World Cup for a fabulous prize. Throughout the World Cup enjoy themed cuisine, domestic or imported beers and the best cocktails in town! Enhance your World Cup experience by guessing the overall winner for a chance to win a free night stay at Old Edwards Inn and Spa. With six beers on tap and four flatscreen TV's the Rib Shack and Sports Corner is the place to be to catch all the soccer action. For more information, visit www.oldedwardsinn.com. July 1:The Blue Ridge Parkway 75 Years Down the Road with Ted Coyle of Western Carolina University at The Highlands Nature Center at 7:00 p.m. For more information, call 828-526-2623. July 2-3:2nd Annual Cashiers Mountain Music Festival Hosted at the Village Green. Featuring the Steep Canyon Rangers, Lizzie Long & Little Roy Lewis and many, many more. Don't miss a great day filled with some of the most talented bluegrass musicians out there! A fun filled day for the entire family with arts & crafts and a fun zone for the kids. Tickets are $20 in advance, $25 the day of event, with children 12 and under free. Call (828)743-5191 or visit the event website at www.cashiersnorthcarolina.com/cmmf/index.htm to find out more about this exciting once-a-year event or purchase advance tickets TODAY! July 2:Highlands Nature Center Nature by Night families are encouraged to bring their flashlights and find out who is lurking in the woods at night from 9 to 10:30 p.m. Learn about the nocturnal world with fun games and activities for all ages. For more information, visit www.wcu.edu/hbs/Naturecenter.htm. July 3:Big Ol Mountain Country Breakfast - The Cashiers community will be staging its Fourth Annual Big Ol Mountain Country Breakfast from 7:00 a.m. to 11:00 a.m. at the Cashiers Community Center on US 64 (the Highlands Road). Proceeds from the popular event will support efforts to feed needy neighbors throughout the year. July 3: Happy 4th of July FIREWORKS at the Highlands Civic Center & Recreation Park July 3:Skyline Lodge Freedom Fun - 470 SKYLINE LODGE ROAD - just 5 minutes from Highlands - take 64 East towards Cashiers and turn left on Flat Mountain Road for 1.2 miles then left up the hill to Skyline. A day filled with laughter, good eats, swimming, Jacuzzi, bar, door prizes, dancing to the fabulous sound of Hurricane Creek - the best band in the mountains, and to end the evening with a bang - FIREWORKS!! Bar-b-q, swimming and hot tub from 3pm to 8pm. Dancing 9pm to 12am. Fireworks @ 12 am Tickets $20.00 Children 6 and under: Free. Please reserve your tickets early - limited availability - tell your friends. For tickets call 828 526-2121 or 800 575-9546. July 3:Birds of Prey at the Bird Barn in Highlands at The Shops on Main. Michael Skinner from the Balsam Mountain Trust will be with Spirit, an American Bald Eagle, and other birds of prey on Saturday, July 3 at 11:00 A.M.. Everyone is invited to stop by and meet these beautiful birds. Call 828 526-3910 for more information. July 7:The Center for Life Enrichment hosts The Joy of Baking at Morningside Bed & Breakfast. Do you envy the wonderful aroma of home-baked goods and wish that that marvelous aroma could come from your kitchen? Would you like to learn how to make some easy breads, cakes or cookies? Spend a few hours in the home of Martha Porter as she shares techniques to insure baking success for either a beginner or a pro. Come prepared to get your hands in the dough. Perhaps best of all is that after a delicious lunch prepared by Martha, you get to taste all the goodies you have prepared (maybe even take a little home to share). 9:30 a.m. 2:00 p.m. (lunch included). Cost: $50 members, $60 non-members only 10 slots remain. For more information, visit www.h-cmusicfestival.org. July 8:Highlands Nature Center presents Birmingham to Highlands - It's a Natural Connection with Roald Hazelhoff, Southern Environmental Center, Birmingham-Southern College Time: 7:00 p.m. For more information, call 828-526-2623. July 8-11:14th Annual Mountains in Bloom Garden Festival - a multi-day garden festival (over 1,200 attendees expected) in the mountain resort community of Highlands, North Carolina. Mountains in Bloom features a magnificent tour of mountain gardens, a flower show and photography competition, a home and garden market, and a garden-themed lecture by a top speaker. Proceeds benefit The Bascom, a nonprofit visual arts cnter that recently completed a sixacre, $13 million campus. Tickets/info: www.mountainsinbloom.com or (828) 526-4949. July 8-18:Sylvia at Highlands Playhouse a funny, heartwarming tale of a couple whose life changes after adopting a dog. Sylvia was written by A.R. Gurney, author of many other works including Love Letters, The Cocktail Hour, and The Dining Room. Sylvia is cute, affectionate and irresistible. She is the life-changing dog who enters the life shared by Greg and Kate. To Greg, Sylvia is a distraction to the stresses of life. For Kate his wife, the canine is one more contender for Gregs affection. As Sylvia takes her place as part of the family, the trio experiences both comic and heartwarming situations that enable them to accept each other and realize their importance in each others lives. This tale spins some funny doggy insights, especially for an audience that already knows what great companions dogs can be. For more information, call 828-526-2695 or visit www.highlandsplayhouse.org. July 9:Groovin on The Green Moonshine Babies performs at the Pavilion on The Village Green in Cashiers Bring your lawn chairs and your favorite dancing partners to this fun and FREE open air concert. 6:30-8 p.m. For more information about the Groovin on the Green outdoor concert series, please visit www.visitcashiersvalley.com or call 828-743-1630. July 9:Highlands Cashiers Chamber Music Festival Opening Weekend- The Attacca Quartet & William Ransom featuring Chopin: G Minor Ballade, B Minor Scherzo, Nocturne in B, Ab Polonaise; and Schumann Piano Quintet at the Performing Arts Center in Highlands at 5:00 PM. General admission $28, students $5. For more information, call 828-526-9060 or visit www.h-cmusicfestival.org. July 10:Highlands Cashiers Chamber Music Festival The Great Romantics A Center for Life Enrichment class celebrating the Frederic Chopin/Robert Schumann Bicentennial at the Performing Arts Center in Highlands from 10:00 AM-12 Noon. For more information, visit www.clehighlands.org. July 10:Highlands Cashiers Chamber Music Festival - The Attacca Quartet & William Ransom featuring Chopin: G Minor Ballade, B Minor Scherzo, Nocturne in B, Ab Polonaise; and Schumann Piano Quintet at the Albert Carlton Cashiers Library in Cashiers at 5 p.m. General admission $28, students $5. For more information, call 828-526-9060 or visit www.h-cmusicfestival.org. 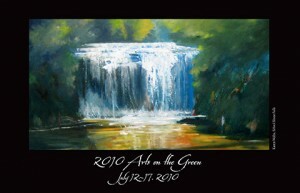 July 12-17:Arts on the Green A Festival of Outdoor Arts & Sculpture at The Village Green in Cashiers. This week-long celebration of the arts will include lectures from artists, live art demonstrations, art competitions and all of the trappings youd expect from an area that is well known for its festivals. Reminiscent of an old French village during the impressionist period, plein air artists can be found painting at easels all around town throughout the week. The festival culminates with a full day of live music, art demonstrations, competitions, childrens art activities, food, an unveiling of a new sculpture exhibition on the Green and a final awards ceremony with cocktails to celebrate all of the paintings of this beautiful area produced throughout the festival. A portion of the proceeds from Arts on the Green will benefit The Village Green a conservancy project and community park that is supported solely through private donations, fundraising and corporate sponsorships. For more information, visit www.villagegreencashiersnc.com or call 828-743-3434. July 11:Highlands Cashiers Chamber Music Festival - The Attacca Quartet featuring Haydn, Barber, and Mendelssohn String Quartets at The Performing Arts Center in Highlands at 5:00 PM. General admission $28, students $5. For more information, call 828-526-9060 or visit www.h-cmusicfestival.org. July 12:The Black, Write, & Read Literacy Ball hosted at The Farm at Old Edwards to celebrate The Literacy Council of Highlands. Dinner, dancing and live auction evening begins at 6:00 p.m. Cost: $125 per person. For more information, call 828-526-9938 ext. 240, email highlandsliteracy@live.com, or visit www.hcliteracy.org. July 12:Highlands Cashiers Chamber Music Festival - The Attacca Quartet featuring Haydn, Barber, and Mendelssohn String Quartets at The Albert Carlton Library in Cashiers at 5:00 PM. General admission $28, students $5. For more information, call 828-526-9060 or visit www.h-cmusicfestival.org. July 13:Highlands Nature Center Exploring Natural Dyes 1 to 3 p.m. Family-friendly workshop for more information visit www.wcu.edu/hbs/Naturecenter.htm. July 15:Rombauer Wine Dinner at The Old Edwards Farm 6:30 p.m. cocktails, 7 p.m. dinner. Rombauer Vineyards was founded in 1982 by Koerner and Joan Rombauer and sits on a tree covered knoll overlooking the Napa Valley. The winery features caves that extend for over a mile into the hillside. The caves provide a constant temperature and humidity which result in optimum conditions for aging Rombauer wines. Rombauer wines are consistently ranked high in the wine trade journals. Dont miss this beautiful evening of fine wines and perfectly paired coursesall the way through to dessert , accompanied by the appropriately named Joy Late Harvest Chardonnay, Carneros. Join the Jeffrey Pap from Rombauer for this memorable evening at The Farm. For more information, visit www.oldedwardsinn.com. July 16:Highlands Cashiers Chamber Music Festival - The Italian Connection featuring Franco Mezzena on violin and Edoardo Catemario on guitar. Program consists of Piazzolla: Histoire du Tango; Solo guitar works; and Neopolitan Songs at the Performing Arts Center in Highlands at 6:00 PM. General admission $28, students $5. For more information call 828-526-9060 or visit www.h-cmusicfestival.org. July 17:Highlands Cashiers Chamber Music Festival - The Italian Connection featuring Franco Mezzena on violin and Edoardo Catemario on guitar. Program consists of Piazzolla: Histoire du Tango; Solo guitar works; and Neopolitan Songs at the Albert Carlton Library in Cashiers at 5:00 PM. General admission $28, students $5. For more information call 828-526-9060 or visit www.h-cmusicfestival.org. July 18:Highlands Cashiers Chamber Music Festival - The Italian Connection featuring Franco Mezzena on violin, William Ransom on piano and Edoardo Catemario on guitar. Program consists of Schumann Vln Sonata, Ravel Tzigane, Paganini Duo for guitar and violin at the Performing Arts Center in Highlands at 5:00 PM. General admission $28, students $5. For more information call 828-526-9060 or visit www.h-cmusicfestival.org. July 19:Highlands Cashiers Chamber Music Festival - The Italian Connection featuring Franco Mezzena on violin, William Ransom on piano nd Edoardo Catemario on guitar. Program consists of Schumann Vln Sonata, Ravel Tzigane, Paganini Duo for guitar and violin at the Albert Carlton Library in Cashiers at 5:00 PM. General admission $28, students $5. For more information call 828-526-9060 or visit www.h-cmusicfestival.org. July 21:Do You Know Imported Wines? a class presented by Center for Life Enrichment at the Highlands Wine and Cheese Shop. Travel the world through your taste buds as you experience wines from around the world. In this class you will taste and discuss distinctive wines from France, Spain, Italy, Australia, Germany, Chile and Argentina. You will learn about the varieties of grapes and the effect that soil and climate have on the end result. Scott Roddy will also demonstrate the use of proper stemware and the wine aeration process. 2:00 4:00 p.m. (Wine tasting included). Limit: 30 attendees. Cost: $35 members; $45 non-members. For more information, visit www.clehighlands.org. July 22-August 8:The Andrews Brothers at the Highlands Playhouse - Andrews Brothers opens at an afternoon rehearsal for a USO show in the South Pacific. Max, Lawrence andPatrick Andrews are rehearsing with pin-up girl Peggy Jones for the big show that night. What Peggy doesnt know is that the brothers are really just the stagehands for the show her back-up singers didntarrive in time, and the boys were recruited by the Major in charge to fill in where needed. Just as they assumeall will work out well, a radiogram arrives with the news that the headliners for tonights show, The Andrews Sisters, have been held in quarantine in Hawaii. The show must be cancelled. Unless, of course, theres a way for the Andrews Sisters to appear...Mistaken identities and madcap adventures(imagine Bing Crosby & Bob Hope in a road movie of Some Like It Hot)along with the music of an entire generation highlight this wonderful valentine to the heroes of World War II. For more information, call 828-526-2695 or visit www.highlandsplayhouse.org. July 23:Center for Life Enrichment presents Southern Style Town & Country a lecture is based on two of Susan Sullys most recent books, The Southern Cottage: From the Blue Ridge Mountains to the Florida Keys and The Southern Cosmopolitan: Sophisticated Southern Style. The talk compares and contrasts the globally-influenced, urbane architecture and interior design of the Souths historic centers of wealth and trade (Charleston, Savannah, Washington, Atlanta, New Orleans) with the vernacular-style retreats in the mountains and on the shore where Southerners go to relax. 10:00 a.m. 12:00 p.m. at the Performing Arts Center in Highlands (downstairs). Cost: $20 members; $30 non-members. For more information, visit www.clehighlands.org. July 23:Highlands Cashiers Land Trust Eco Tour - Geocaching in Panthertown - Guided Hike/Day Trip. Cost: $5 members, $35 new friends. Reservations Required, please call 828-526-1111. July 23:Highlands Cashiers Chamber Music Festival All in the Family with Albers Trio & Ransom Duo featuring the music of Beethoven, Martinu, Dohnanyi, and Dvorak at the Performing Arts Center in Highlands. Ticket information available at 828-526-9060 or by visiting www.h-cmusicfestival.org. July 23:Highlands Nature Center - 7 to 8:30pm - Come for an educational family-friendly program featuring live snakes! Herpetologist and Nature Center Director Patrick Brannon will present a talk on local snake species. Learn snake identification, natural histories, and common misconceptions about them. For more information, visit www.wcu.edu/hbs/Naturecenter.htm. July 23:Groovin on The Green Hurricane Creek performs at the Village Commons at The Village Green in Cashiers Bring your lawn chairs and your favorite dancing partners to this fun and FREE open air concert. 6:30-8 p.m. For more information about the Groovin on the Green outdoor concert series, please visit www.visitcashiersvalley.com or call 828-743-1630. July 24:Highlands Cashiers Chamber Music Festival All in the Family with Albers Trio & Ransom Duo featuring the music of Beethoven, Martinu, Dohnanyi, and Dvorak at the Albert Carlton Library in Cashiers. Ticket information available at 828-526-9060 or by visiting www.h-cmusicfestival.org. July 25:Highlands Cashiers Chamber Music Festival All in the Family with Albers Trio & Ransom Duo featuring the music of Beethoven, Martinu, Dohnanyi, and Dvorak at the Performing Arts Center in Highlands. Ticket information available at 828-526-9060 or by visiting www.h-cmusicfestival.org July 26:Highlands Cashiers Chamber Music Festival All in the Family with Albers Trio & Ransom Duo featuring the music of Beethoven, Martinu, Dohnanyi, and Dvorak at the Albert Carlton Library in Cashiers. Ticket information available at 828-526-9060 or by visiting www.h-cmusicfestival.org July 28:Highlands Cashiers Land Trust presents it Village Nature Series at the Village Green in Cashiers. The Mystery of George Mas will be hosted by Ran Shaffner at 6 p.m. Everyone is welcome. Come learn something new at these free and fun educational lectures. Call 828-526-1111 or visit www.hicashlt.org for details. July 29:The Highlands Nature Center presents The Good, the Bad, and the Ugly -Mushrooms of the Southern Appalachians hosted by Andrew Methven of Eastern Illinois University. Time: 7:00 p.m. For more information, call 828-526-2623 or visit www.wcu.edu/hbs. July 30:Highlands Cashiers Chamber Music Festival presents a concert featuring William Preucil on violin; Charae Krueger on cello; Victor Asuncion on piano; Lea Kibler on flute; Valerie von Pechy Whitcup on harp; and Yinzi Kong on viola. Program includes music by Chopin, Schumann, Dvorak, and Debussy at the Highlands Performing Arts Center. For more information, call 828-526-9060 or visit www.h-cmusicfestival.org. July 30: Groovin on The Green Nikki Talley performs at the Village Commons at The Village Green in Cashiers Bring your lawn chairs and your favorite dancing partners to this fun and FREE open air concert. 6:30-8 p.m. For more information about the Groovin on the Green outdoor concert series, please visit www.visitcashiersvalley.com or call 828-743-1630. July 31:Highlands Cashiers Chamber Music Festival presents a concert featuring William Preucil on violin; Charae Krueger on cello; Victor Asuncion on piano; Lea Kibler on flute; Valerie von Pechy Whitcup on harp; and Yinzi Kong on viola. Program includes music by Chopin, Schumann, Dvorak, and Debussy at the Albert Carlton Library in Cashiers. For more information, call 828-526-9060 or visit www.h-cmusicfestival.org. As the inevitable Back to School sale signs begin to appear in store windows throughout the South, summer is still in full-swing in the mountains of Western North Carolina. Plan your last-minute Summer escape to a place well-known for its unique culture, family-friendly festivals, mild climate and relaxed pace. Over the course of a week or a long weekend spent on the Highlands-Cashiers Plateau, youre sure to feel a kinship to the warm and welcoming folk who reside here year-round as you find a sense of belonging in one of the Souths most distinctive mountain communities. The unsurpassed natural beauty, a wealth of world-class amenities and that unusual sense of belonging will call you back here year after year. This months calendar of events for the towns of Highlands, Sapphire, Lake Toxaway and Glenville and the village of Cashiers is jam-packed with fun a perfect excuse to come back OR to visit us for the very first time. Youll soon discover why families have returned here annually for well over a century. If, after your visit, you find that you just dont want to leave we invite you to call on the friendly folks at Silver Creek Real Estate Group. We can help you find the home of your dreams. August is National What Will Your Legacy Be Month just think of it, you can begin building your familys legacy high atop the Blue Ridge Mountains! We look forward to seeing you around town soon! August 1-8: The Andrews Brothers at the Highlands Playhouse - Andrews Brothers opens at an afternoon rehearsal for a USO show in the South Pacific. Max, Lawrence and Patrick Andrews are rehearsing with pin-up girl Peggy Jones for the big showthat night. What Peggydoesnt know is that the brothers are really just the stagehands for the show her back-up singers didntarrive in time, and the boys were recruited by the Major in charge to fill in where needed. Just as they assumeall will work out well, a radiogram arrives with the news that the headliners for tonights show, The Andrews Sisters, have been held in quarantine in Hawaii. The show must be cancelled. Unless, of course,theres a way for the Andrews Sisters to appear...Mistaken identities and madcap adventures(imagine Bing Crosby & Bob Hope in a road movie of Some Like It Hot)along with the musicof an entire generation highlight this wonderful valentine to the heroes of World War II. For more information, call 828-526-2695 or visit www.highlandsplayhouse.org. August 1: 29th Season of the Highlands Cashiers Chamber Music Festival Mozart Violin/Viola Duo, Chopin Cello Sonata, Schumann Piano Quartet Performed by William Preucil on violin, Charae Krueger on cello, Yinzi Kong on viola, and Victor Asuncion on piano at the Highlands Performing Arts Center at 5 p.m. General admission $28; Students $5. For more information, call 828-526-9060 or visit www.h-cmusicfestival.org. August 2: 29th Season of the Highlands Cashiers Chamber Music Festival Mozart Violin/Viola Duo, Chopin Cello Sonata, Schumann Piano Quartet Performed by William Preucil on violin, Charae Krueger on cello, Yinzi Kong on viola, and Victor Asuncion on piano at the Albert Carlton Library in Cashiers at 5 p.m. General admission $28; Students $5. For more information, call 828-526-9060 or visit www.h-cmusicfestival.org. August 5: The Marriage of Figaro Center for Life Enrichment presents a Musical Evening at Brevard Music Center. Mozarts opera The Marriage of Figaro is a witty, profound tale of love, betrayal and forgiveness, set in CountAlmavivas castle in Seville in the late 18th Century. It is based on a play by Beaumarchais and is a sequel to The Barber of Seville. As the opera opens, the marriage of the Count and Rosina has gone sour because of his philandering. Figaro hasquit barbering and is now the Counts major-domo. He is engaged to Suzanna, who is the Countess maid and theCounts intended conquest. Old Bartolo is back to seek revenge on Figaro for thwarting his claim on the youngRosina, with the help of the slimy music-master, Don Basilio. Adding to the fun are an amorous eenager, ascheming old maid, a drunken gardener, and a silly young girl. Much happens on a single crazy day. This program will include a leisurely bus trip to the Brevard Music Center with a boxed supper before theperformance. (The performance will be the final dress rehearsal.) Deadline for reservations is Monday, June 19. Bus leaves Brysons lower parking lot in Highlands at 4:15 p.m. Cost: $80 CLE members, $90 non-members. Limit: 45 openings. For more information, visit www.clehighlands.org. August 5: Blue Ridge Perspectives The Natural World thru Words and Images with Author George Ellison and Painter Elizabeth Ellison at Highlands Nature Center at 7 p.m. For more information, call 828-526-2623 or visit www.wcu.edu/hbs/Naturecenter.htm. August 6: Groovin on The Green Rafe Hollister Band performs at the Village Commons at The Village Green in Cashiers Bring your lawn chairs and your favorite dancing partners to this fun and FREE open air concert. 6:30-8 p.m. For more information about the Groovin on the Green outdoor concert series, please visit www.visitcashiersvalley.com or call 828-743-1630. August 6: 29th Season of the Highlands Cashiers Chamber Music Festival The Eroica Trio performs Beethoven Trio Op.11, Turina Op. 35, and Schumann F Major at the Highlands Performing Arts Center at 6 p.m. General admission $28; Students $5. For more information, call 828-526-9060 or visit www.clehighlands.org. August 7: 29th Season of the Highlands Cashiers Chamber Music Festival The Eroica Trio performs Beethoven Trio Op.11, Turina Op. 35, and Schumann F Major at the Albert Carlton Library in Cashiers at 5:00 p.m. General admission $28; Students $5. For more information, call 828-526-9060 or visit www.h-cmusicfestival.org. August 8: Highlands Plateau Audubon Society Picnic at the Village Green in Cashiers at 5 p.m.Bring a covered dish and $5 for hamburgers. For additional information call Brock Hutchins at 828-787-1387. August 8:Up, Up and away Gala at the Highlands Country Club Benefiting the Highlands Community Child Development Center.Tickets are $125 and can be reserved by calling (828) 526-1505 or emailing HCCDCres@aol.com. This fun-filled evening includes cocktails, dinner and dancing to the Class Act Band. A silent auction will feature a hot air balloon ride for four, a Herbert Creecy oil painting, a Rob Stern glass vessel, a Cherry Brewer painting, a gourmet dinner and more. All gala proceeds go this licensed, nonprofit center which provides a safe haven and excellent foundation fo the children of working parents. If you are unable to attend the Gala, donations are gratefully appreciated and can be mailed to HCCDC, P.O.Box 648, Highands, NC 28741. August 8: 29th Season of the Highlands Cashiers Chamber Music Festival Anton Nel on piano, Brice Andrus on horn, Laura Ardan on clarinet and Christopher Rex on cello for performances of Schumann: Fantasie Pieces with Clarinet, Adagio and Allegro with Horn, Folk Pieces with Cello; Chopin: Barcarolle, Ab Ballade, 3 Waltzes, Andante Spianato and Grande Polonaise at the Highlands Performing Arts Center at 5 p.m. General admission $28; Students $5. For more information, call 828-526-9060 or visit www.h-cmusicfestival.org. August 9: 29th Season of the Highlands Cashiers Chamber Music Festival Anton Nel on piano, Brice Andrus on horn, Laura Ardan on clarinet and Christopher Rex on cello for performances of Schumann: Fantasie Pieces with Clarinet, Adagio and Allegro with Horn, Folk Pieces with Cello; Chopin: Barcarolle, Ab Ballade, 3 Waltzes, Andante Spianato and Grande Polonaise at the Albert Carlton Library in Cashiers at 5 p.m. General admission $28; Students $5. For more information, call 828-526-9060 or visit http://www.h-cmusicfestival.org/. August 11: 29th Season of the Highlands Cashiers Chamber Music Festival Vega String Quartet performs Bach at Bucks Coffee Caf on Main Street in Highlands at 8 p.m. For more information, call 828-526-9060 or visit www.h-cmusicfestival.org. August 12-22: Lettice & Lovage - a comedic play by Peter Shaffer, author of Equus and Amadeus. The play was written specifically for Dame Maggie Smith, who originated the title role of Lettice Douffet in both the English and American runs of the production.The play was originally produced in London in 1987. Its two-year run of 768 performances at the Gielgud Theatre counts as one of the longer runs in London theatrical history. The play was revised by Shaffer in 1988, and it was that revised version that later ran in New York. Lettice and Lovages first American production opened with a preview performance in New York, New York at the Ethel Barrymore Theatre on March 13, 1990. It ran from March 25, 1990 to December 23, 1990 with a total of 286 performances. See it now onstage at the Highlands Playhouse. For more information or to reserve your seats, visit www.highlandsplayhouse.org. August 13: Relay for Life in Highlands Benefitting the American Cancer Society Hosted at the Highlands Recreation Center. To learn more about this event, visit the Relay for Life of Highlands, NC home page. August 13:Groovin on The Green Rye Holler Boys performs at the Village Commons at The Village Green in Cashiers Bring your lawn chairs and your favorite dancing partners to this fun and FREE open air concert. 6:30-8 p.m. For more information about the Groovin on the Green outdoor concert series, please visit www.visitcashiersvalley.com or call 828-743-1630. August 13: 29th Season of the Highlands Cashiers Chamber Music Festival Vega String Quartet featuring Eric Pritchard on Violin performs Mozart K. 80, David Kirkland Garner: i aint broke (but i am badly bent): thirteen fiddle tunes for string quartet and Beethoven Op. 132 String Quartets at the Highlands Performing Arts Center at 5 p.m. General admission $28; Students $5. For more information, call 828-526-9060 or visit www.h-cmusicfestival.org. August 14: 29th Season of the Highlands Cashiers Chamber Music Festival Vega String Quartet featuring Eric Pritchard on Violin performs Mozart K. 80, David Kirkland Garner: i aint broke (but i am badly bent): thirteen fiddle tunes for string quartet and Beethoven Op. 132 String Quartets at the Albert Carlton Library in Cashiers at 5 p.m. General admission $28; Students $5. For more information, call 828-526-9060 or visit www.h-cmusicfestival.org. August 14: Center For Life Enrichment presents Highlands Cashiers Chamber Music Festivals Charles Wadworth: My Life with Chamber Music at the Highlands Performing Arts Center from 10 a.m. to Noon. During this spirited interview between the Highlands-Cashiers Chamber Music Festivals Artistic Director WilliamRansom and Charles Wadsworth, you will catch a glimpse into the extraordinary life of Charles Wadsworth, from hisearly days in Newnan, Georgia, to studies at Juilliard and his friendships with reknowned composers and performersof the last fifty years. Mr. Wadsworth is a legend in the field of Chamber Music in America. Founder of the ChamberMusic Society of Lincoln Center in 1969, he led it as Artistic Director and pianist for twenty years. From 1977-2009,Mr. Wadsworth has been one of the Artistic Directors of the Spoleto USA Festival in Charleston, SC. Cost: $25 for CLE Members; $35 for non-members. For more information, visit www.h-cmusicfestival.org. August 15: 29th Season of the Highlands Cashiers Chamber Music Festival Final Gala Concert & Dinner at the Highlands Performing Arts Center. Concert features Charles Wadsworth and William Ransom on piano, Eric Pritchard on violin and the Vega String Quartet. Program includes Handel-Halvorsen Duo, Debussy Petite Suite for piano four-hands, Schumann Piano Quartet, Beethoven String Quartet Op. 59, #3 at 5 p.m. Dinner to follow at Wildcat Cliff Country Club. Tickets are $125/person. For more information, call 828-526-9060 or visit www.h-cmusicfestival.org. August 15: The Highlands Plateau Audubon Society Annual Picnic 5 p.m. at the Village Green in Cashiers. Bring $5 for barbeque and a covered dish. For more information or to make reservations, call Pat at (828) 743-7421. August 18: Loving Literacy: A Premier Gala at the Highlands Performing Arts Center at 6:30 p.m. For more information, call 828-526-9938 ext. 240 or visit www.hcliteracy.org/index.html. August 20: Cashiers Designer Showhouse Patrons Party & Auction at the Wade Hampton Golf Club Clubhouse Catering by Lee Epting of Athens, Georgia. Featuring the culinary artistry of Chef Doug Sampey of Wade Hampton Golf Club and live entertainment from Anita Brown and her Band. For more information, please visit theCashiers Showhouse event website. Aug. 21-Sept. 5: 13th Annual Cashiers Designer Showhouse Whisper Fade at Wade Hampton Golf Club in Cashiers, NC. Proceeds benefit Cashiers Historical Society. CHS Museum will be open daily for tours, and the event will include the exquisite work of a number of local and regional designers, Showhouse Shops, Merchants Tent and Lunch from Caf 107 will be served daily at the Dowden Pavilion. Hours: Monday through Saturday 10 a.m. to 4 p.m., Sunday 1 to 4 p.m. General admission is $25/person. Tickets will be available for purchase at the Showhouse or in advance by calling (828) 743-7710. For further information, visitcashiershistoricalsociety.org. August 21: Talk, Lunch, & Book Signing at the Country Club of Sapphire alley with Elle Decor's Top 25 designer this year, Suzanne Kasler from 11a.m.-1p.m. August 25: Highlands Cashiers Land Trust presents their Village Nature Series at The Village Green in Cashiers. This months lecture is Landslides of WNC hosted by Rick Wooten. Begins at 6 p.m. Everyone is welcome. Come learn something new at these free and fun educational lectures. Call 828-526-1111 or visit www.hicashlt.org for details. Aug. 26-Sept. 2: Gala of The Arts A Gala Art Sale! at the Old Edwards Inn & Spa Executive Conference Center in Highlands. 9 to 6 p.m. Featuring works by Bukovnik, Polites, Dali, Erte and more as well as 150 Audubon prints. Come see 900 works of art by 200 artists from the four Galleries of Ann Jacob, including items from her personal collection. For more information, call 404-542-2773 or visit www.samcallproductions.com. August 26: Grand Opening Event for Gala of The Arts Pahlmeyer Wine Dinner: The Art of Sustainable Wine Growing at The Farm at Old Edwards. Nestled into a lavish landscape of florals and greenery, the rustic restored barn provides ambiance, acoustics and rustic comfort for sitting back for a scrumptious evening offine wines and perfectly paired courses. Join the Pahlmeyer representative, Camille Cox for this memorable evening, as Peter Polities mingles with you over cocktails and then paints live as you enjoy a stunning setting, sustainably produced wines and a sumptuous feast by Executive Chef Johannes Klapdohr and the Old Edwards Culinary Team. Reception begins at 6:30, dinner begins at 7:30 p.m. For more information, visit www.oldedwardsinn.com or www.samcallproductions.com. August 27:Groovin on The Green Chris ONeill performs at the Village Commons at The Village Green in Cashiers Bring your lawn chairs and your favorite dancing partners to this fun and FREE open air concert. 6:30-8 p.m. For more information about the Groovin on the Green outdoor concert series, please visit www.visitcashiersvalley.com or call 828-743-1630. August 27: Gala of The Arts Gala Opening Wine Reception at the Old Edwards Inn & Spa Executive Conference Center in Highlands open to the public. Featuring the music of Cy Timmons. 6-7 p.m. For more information, call 404-542-2773 or visit www.samcallproductions.com. August 27: Gala of The Arts Dinner with Art Collector and Dealer Ann Jacob in the exclusive wine room at the Old Edwards Inn & Spa Executive Conference Center. 7-9:30 p.m. For more information, call 404-542-2773 or visit www.samcallproductions.com. August 27: Highlands-Cashiers Land Trust Eco Tour of Peaks Creek. Guided hikes and day trips. Cost: $5 members, $35 new friends. Reservations are required, please call 828-526-1111. August 28: Gala of The Arts A Presentation of Art Work by Artist G. Newington at the Old Edwards Inn & Spa Executive Conference Center from 2-2:30 pm. For more information, call 404-542-2773 or visit www.samcallproductions.com. August 28: Gala of the Arts Wine Reception at the Old Edwards Inn & Spa Executive Conference Center Open to the public from 5 to 6:30 pm. For more information, call 404-542-2773 or visit www.samcallproductions.com. August 29: 102nd Annual Zachary Family Reunion Hosted by the Cashiers Historical Society in honor of one of Cashiers founding families. August 29: Gala of The Arts A Presentation of Art Work by Artist Alexie at the Old Edwards Inn & Spa Executive Conference Center from 10-10:30 a.m. and 2-2:30 p.m. For more information, call 404-542-2773 or visit www.samcallproductions.com. August 30: Gala of The Arts A Presentation of Art Work by Artist Ed Hofer at the Old Edwards Inn & Spa Executive Conference Center from 10-10:30 a.m. and 2-2:30 p.m. For more information, call 404-542-2773 or visit www.samcallproductions.com. August 31:Gala of The Arts A Presentation of Art Work by Artist M. Riley at the Old Edwards Inn & Spa Executive Conference Center from 10-10:30 a.m. and 2-2:30 p.m. For more information, call 404-542-2773 or visit www.samcallproductions.com. As the leaves on the trees begin to change, our excitement grows! Fall is an exhilarating time in the Blue Ridge Mountains of Western North Carolina not just because the natural beauty of the area seems heightened with the addition of brilliant shades of green, red, amber and gold, but because Fall is a time of celebration, of festivals, of community. We know that some people will hear about a local festival or the changing leaves, and make the drive up the mountain to our very special corner of the world for the very first time. They will discover our little slice of Heaven along the Highlands-Cashiers Plateau, and from that point on they will be forever changed. Some may be so moved by their visit that they will choose to put down roots of their own here, while others may simply elect to make us part of an annual family tradition of Fall in the Mountains. Whether this is YOUR first time or youve been here before, we invite you and your family to come and see firsthand what makes the village of Cashiers and the neighboring towns of Highlands, Sapphire, Glenville and Lake Toxaway so unique. Meander through our shops, pick the perfect bunch of tree-ripened apples at our Farmers Market, stroll through a festival on the Village Green, take in a breathtaking sunset over a mountain lake however you choose to spend your Fall, we hope you will make Western North Carolina a part of it. October 1: Groovin on the Green at The Village Commons in Cashiers Live Music performed by Brian Ashley Jones. Performance begins at 6:30 p.m. Pack a picnic and join us for this FREE family-friendly event under the stars. October 1: Friday Night LIVE in Downtown Highlands - 7:00pm to 9:00pm in Town Square. Friday Nite Live is a fun, family friendly evening featuring live music and is organized by the Highlands Chamber of Commerce. October 1: ART, DESIGN, CRAFT CELEBRATION Seated Dinner Gala & Live Auction at The Farm at Old Edwards in Highlands 6 p.m. Call 828-526-4949 to purchase tickets. October 1-3: Highlands Community Players present a Small Stage Production of Signs and Wonder at the Highlands Performing Arts Center a Gary Carden Premiere Performance. Alec Fenton, an American by adoption and his wife, Marjorie, an American of Greek origin, live with their two children in Athens. Both Alec's business life and his tender relationships with his daughter are guided by a playful but deeply felt need to interpret the smallest details of the world as significant. Under the influence of powerful signs and premonitions, Alec allows himself to veer in and out of a love affair with a colleague, Katherine, eventually leaving his family and returning to America with his lover. Once there, however, the same belief system urges him back home for one final attempt to win back his family. But his new quest is endangered by the presence of a political activist, Andreas, in his family's life. Andreas becomes the victim of a series of incidents, each one more threatening than the last. Performance begins at 7:30 p.m. all three evenings. Call 828-526-9047 for more information. October 2: FREE Annual Community Fish Fry at the Cashiers Community Center at 5:30-7:30 p.m. Dessert donations welcome. Sponsored by the Cashiers Valley Community Council. October 6 & 7: Oktoberfest Old Edwards-Style. The Farm at Old Edwards will be transformed into a mini-Munich for guests of Oktoberfest Old Edwards Style to experience the culinary prowess of German Executive Chef Johannes Klapdohr as he prepares a traditional German feast with an Old Edwards twist. Enjoy perfectly paired wines and beers of Germany in the rustically intimate setting of The Farm on Thursday evening cocktails at 6:30, dinner at 7 p.m. It all starts with an hors doeuvre reception followed by a four-course family-style Bavarian Feast. Bottles of German wines will be passed at the table, and a Bier Sellar will be set up in The Barn. Live music from the Gootman Sauerkraut Band will set the stage for a memorable event. Guests of the dinner at The Farm will take home a commemorative Old Edwards glass stein. Festivities also include a FestHaus Celebration at Wolfgangs Restaurant on Wednesday, October 6 at 6:30 p.m. and FREE Tasty Bites of Food and Wine by two German Chefs at Wolfgangs on Thursday from 11 a.m. to 1 p.m. Additional Oktoberfest fun all month long at the Rib Shack. Special accommodation package available at the Old Edwards Inn space is limited, so call 828-787-2625 TODAY. October 7: Highlands Cashiers Land Trust presents its "Sundown at Sunset" celebration; for more information, call 828-526-1111. October 8-10: The Second Annual Leaf Festival of Cashiers Valley Three day festival featuring Fall Home Tour, Pumpkin Carving Contest, KidsFest, Boat Tours of Lake Glenville, Live Music, Arts and Crafts Show, and so much more. Promises to be the event of the season so you wont want to miss it! Please drop by the Silver Creek Real Estate Group tent on the Village Green and say hello! October 8: The Highlands Playhouse presents The Tramp and the Roughrider John Muir meets Teddy Roosevelt in this inspired production that benefits the Jackson-Macon Conservation Alliance. Production begins at 7 p.m. Tickets $35 ($30 members). Refreshments, music and silent auction begin at 6:30. For more information, call (828) 526-0890 ext. 320. October 15: Lonesome Road Band with Charles Wood performs at the Highlands Performing Arts Center at 7:30 p.m. Tickets are $20/person. "Great acoustic music" is the statement that best describes the music of The Lonesome Road Band. Using the traditional tools of bluegrass in creating their music, to categorize them strictly as bluegrass would be a misrepresentation. Their repertoire consists of everything from Bill Monroe's "My Sweet Blue Eyed Darlin'" to the Moody Blues' "Nights In White Satin". The group's haunting, bluegrass inspired harmonies stir the souls of even the most mundane listeners. Their approach to the music they perform is undeniably top shelf. The vocals are up front with lead and supporting harmonies weaving effortlessly. Their vocals blend so well that it is difficult to tell who is singing each part. Call 828-526-9047 for more information. October 16 & 17: Sapphire Valley Arts & Crafts Festival at Wyndham Resort at Fairfields Sapphire Valley Resort from 10 a.m. to 5 p.m. For more information, call (828)743-1163. October 28-31: Life With Father presented by the Highlands-Cashiers Players at the Martin-Lipscomb Performing Arts Center in Highlands. This timeless family drama revolves around the Day family: father, mother Vinnie, their four red-headed sons and an assortment of friends and relatives. All are involved in the epic struggle between Father and Mother who is determined to have Father properly baptized. Directed by Ronnie Spilton. Tickets $20/person. For more information, call 828-526-8084. Performances: evenings @ 7:30 p.m., Sundays @ 2:30 p.m.
With the arrival of December to the mountains of Western North Carolina often comes a slew of Christmas traditionalists on the hunt for this years perfect Christmas tree. Cars topped with carefully strapped Fraser Firs pass through the festively adorned Crossroads on their way home as shoppers scurry past from one unique shop to the next the village of Cashiers appearing like something from a classic Norman Rockwell scene. Add to that the possibility of a light dusting of snow, and the Highlands-Cashiers Plateau becomes a popular spot for visitors particularly for nearby Atlantans who rarely get to catch more than a glimpse of the white stuff. Sneak a peek at the following list of events and happenings in the village of Cashiers and the towns of Highlands, Sapphire, Glenville and Lake Toxaway for even more reasons to climb the mountains in search of holiday spirit in December. Weve got plenty to go around! December 1-10: Gingerbread House Creation Display and Popular Vote at The Bascom 10 a.m. to 5 p.m. Cost: FREE. The public is invited to cast their votes on imaginative gingerbread designs submitted to The Bascom. The winners will be announced at 10 am on Saturday, December 10. December 1-24:Highlands Christmas at the Inn at Half Mile Farm The Inn has partnered with many of the quaint shops in town to offer special shopping discounts to their guests. Call 1-800-946-6822 for more information. December 4:Highlands Olde Mountain Christmas Parade in Downtown Highlands begins at 11:00 a.m. For more information, call 828-526-2112. December 4:Winter Wonderland at Wolfgang's Wine and Bistro in Highlands. Immediately following the Olde Mountain Christmas Parade, from 1 to 3 p.m., Wolfgangs invites you to wander through their Winter Wonderland as they bring suggestions to your holiday parties from Ty-Lyn Plantation, The Christmas Tree, Cyrano's Bookshop and of course Wolfgang's Restaurant and Wine Bistro. For more details please call 828-526-3807. December 4:Santa Claus Arrives at the Highlands Visitor Center immediately following the Highlands Olde Mountain Christmas Parade. For more information please call828-526-2112. December 4-18: A Stitch in Time Quilts Exhibition at The Bascom begins a terrific opportunity to examine quilts on loan from local collectors and appreciate functional objects as works of art.Cost FREE! Open to view 10 a.m. to 5 p.m. Tuesdays thru Saturdays in December. For more information, please call 828.526.4949 x 100. December 4:Tis the Season Highlands Alternative Gift Market at the Presbyterian Church in Highlands from 11:45 a.m. to 2 p.m. For more information please call 828-526-2754. December 4, 11, 18:Winter Wonderland at The Galleries 10 a.m. to 5 p.m. Admission is FREE. For more information please call 828-526-2673. December 8:Create a Holiday Wreath Workshop at The Bascom 1:30 to 3:30 p.m. Students will create a 12-inch boxwood wreath embellished with native color.Cost: $20.00 members/$25.00 non-members (materials included). For information or to register, call 828.526.4949. December 8:Wreath Seminar by Oakleaf Flower and Garden with Lunch at Madison's hosted by the Old Edwards Inn from 11:30 a.m. to 3:00 p.m. Cost: $70. For more information please call 828-526-8008. December 9:Chocolate Making & Gingerbread House Decorating in the Main Lobby of Old Edwards Inn from 1:00 p.m. to 3:30 p.m.
December 9:Highlands-Cashiers Players Holiday Reading at the Martin Lipscomb Performing Arts Center at 7:30 p.m. For More Details please call 828-526-8084. December 10 & 11:Grand Holiday Wine Tasting at Paoletti's Restaurant in Highlands at 1:00 p.m. $20 per person, refundable with wine purchase. For more information, please call 828-526-4906. December 10: Gingerbread Pig Ornament Decorating at the Rib Shack in Highlands from 3 to 5 p.m. Cookies and Milk will be provided for the children. For more details, call 828-526-8008. December 11:36th Annual Christmas Parade in the historic village of Cashiers from 1 to 3 p.m. For more information, call 828-743-5191. December 11:Community Christmas Chorale at 4 p.m. at the First Presbyterian Church in Highlands. December 11:Complimentary Wine Tasting in Madisons Lobby in Highlands from 2:30 to 4 p.m.
December 11:Ceramic Ornaments Workshop at the Bascoms Studio Barn from 9:30 a.m. to 12:30 p.m. for children and adults. Student's will make up to a baker's dozen ornaments by rolling out clay, cutting out seasonal shapes or symbols, then carving and embossing the surface to personalize their ornaments. Family activity, children under 12 must be accompanied by an adult. $25 Bascom members/$30 non-members (materials and firings included). For information, call 828-526-4949. December 11, 18:Santa Claus at the Highlands Visitor Center from 10 a.m. to 3 p.m. For More information please call 828-526-2112. December 11, 18:Christmas Crafts Around the World Workshop at The Bascom from 10 am to noon. Young aspiring artisits will learn about other cultures and make crafts that can hang on the tree or be given as gifts. Each class will cover the art and culture of two different countries. To register or for more information call 828.526.4949, ext. 100. December 12:Community Christmas Chorale at 5 p.m. at the First Presbyterian Church in Highlands. Reception following concert. December 15 & 16:Comfort Living with Guests at the Old Edwards Inn with Christine Eisner and Debbie Maugans Nakos includes Garden Walk, Small Batch Baking, Samples and Book Signing from 1:00 to 3:30 p.m.. For more information please call 828-526-8008. December 17:Opening Day at the Sapphire Valley Ski Slopes. For more information and an updated snow report, call 828-743-1162. December 17 & 18: Grand Holiday Wine Tasting at Paoletti's Restaurant in Highlands at 1:00 p.m. $20 per person, refundable with wine purchase. For more information, please call 828-526-4906. December 17:Christmas Bird Count with the Highlands Plateau Audubon Society beginning at 7:30 a.m. Call Brock Hutchins at 770-486-3715 to volunteer. December 17:Gingerbread Pig Ornament Decorating at the Rib Shack in Highlands from 3 to 5 p.m. Cookies and Milk will be provided for the children. For more details, call 828-526-8008. December 19: Highlands Community Bible Church hosts "The Stories of Christmas" - an evening of music, drama, and dance celebrating the stories that make Christmas a season of wonder and inspiration. 6:30 p.m. Carol Singing; 7:00 p.m. Production. For more information, call 828-526-4685. December 24:Highlands Community Bible Church hosts Christmas Eve Service at 5:00 p.m. Traditional and contemporary candle lighting service celebrating the birth of Jesus Christ. For more information, call 828-526-4685. December 25:Annual Christmas Dinner at the Hudson House at Highlands Country Club from 11:00 a.m. to 4:00 p.m. Approximately 95% of the proceeds will be distributed to 3 local non-profits. Cost: Adults $35; Children $25. For more information or to make reservations, please call 828-526-4464. December 25:Christmas at Old Edwards Inn hosted at Madisons from 12 to 5 p.m. Cost: $65 Plus Tax and Gratuity. Live Piano Music n Hummingbird from 11:00 to 3:00 p.m. For more information please call 828-526-8008. December 31:New Year's Eve Celebration at Old Edwards Inn hosted at Madison's. Complimentary hors d'oeuvres in Hummingbird from 5:30 to 7:00 p.m. Dinner from 6:00 to 9:30 p.m. Evening features live entertainment, a champagne toast at midnight, and "12 Grapes at Midnight" for guests. For more information please call 828-526-8008. December 31:New Years Eve Dinner at Wolfgangs Wine & Bistro. For more information, call 828-526-3807. The New Year represents many things to many people.For some, it is a time of renewal a time to focus on family and the things that are most important in ones life. For some, it is a time to tackle some goals lose weight, get more organized, or start on a new career path. For others, the New Year represents a time of new beginnings, a time of discovery. Maybe theyll try a wealth of new experiences in 2011 try Indian food for the first time, go to the opera, or jump out of an airplane. Maybe theyll travel and discover new places. What will the New Year hold for you? At Silver Creek Real Estate Group, we believe weve discovered something pretty special and unique high atop the mountains of Western North Carolina. We invite you and your family to visit the Highlands-Cashiers Plateau, and discover for yourself what has been drawing families to our little corner of the world for over a century. Whether you plan your visit for January around the following list of things to do on the Highlands-Cashiers Plateau throughout the month, or you just add a visit to Cashiers, Highlands, Sapphire Valley, Lake Glenville and Lake Toxaway to your To Do list for 2011 we look forward to seeing YOU up on the mountain! Silver Creek wishes you and yours all of the best in the New Year! January 1:New Years Day at the Old Edwards Inn in Highlands includes Brunch at Madisons from 9 a.m. to 2 p.m.; Bloody Marys and Mimosa Bar; and Live Music at the Hummingbird Lounge. For more information, call 828.787.2625. January 1-31:Sapphire Valley Ski Slopes and Frozen Falls Tube Park are open for the Winter Season! Enjoy two exciting hills a fun bunny hill for beginner/intermediate skiers and a 1,600-foot long main run featuring vertical drops of up to 200 feet that is ideal for the brave at heart. Grab inflatable tubes and go sledding with the entire family on a thrilling 500-foot run. * Discounts available for guests of Wyndham at Fairfields Sapphire Valley Resort. ** Check website for special holiday hours. Hours vary slightly for Frozen Falls. January 11-13:Navigating Risk: From Crisis to Innovation John A. Wheeler and Susie DeVille Schiffli Workshop at the Old Edwards Inn, geared toward business teams on the leading edge who wish to harness new modes of thinking and awareness in order to thrive in turbulent times. For more information, please call 828-526-8008. January 13:Best Sellers in the Wine Cellar at the Hummingbird Lounge at Old Edwards Inn. Cocktails start at 6:30 p.m.; Dinner served in the Wine Cellar at 7 p.m. Author TBD. Cost: $180. For more information, please call 828-526-8008. January 21-23:Viva La France Weekend at the Old Edwards Inn - Immerse yourself in French food, wine, art instruction, phrases and music. Wine education events, art lessons with Jane Smithers, and St. Germain Cocktails. For more information please call 828-526-8008. January 24- 26:Mind and Body Detox Retreat Spend 3 nights at Old Edwards Inn and Spa in beautiful Highlands, North Carolina surrounded by nature's splendor. "Shed your Skin" and prepare to have your mind and body cleared, refreshed and rejuvenated with two and a half days of guided instruction, music, movement, recipes, healthy foods and interactive sessions to discover where you are relative to where you desire to be for a well-balanced mind and body. For more information please call 828-526-8008. January 29-30:Romance Weekend spotlighting many of the hotels and restaurants of Highlands. Friday will feature a welcome wine reception, dinner, and late night at Hummingbird Lounge, Saturday will be jam-packed with romance including breakfast in bed, dance lessons, tour of Highlands, escorted Whiteside Mountain hike, dinner, play, wine tasting, and evening bonfire. Love is in the air and its contagious! Each year, a whole new round of couples and families discover our special little corner of the world on the Highlands-Cashiers Plateau and fall in love. Some feel a kinship to the people and places along the region that calls them back year-after-year, others are struck by a deep-seated passion that entices them to lay down roots here with a year-round or seasonal home of their own. We invite you to come to the mountains of Western North Carolina and visit the quaint towns and villages of Cashiers, Highlands, Sapphire Valley, Lake Glenville, and Lake Toxaway. Discover for yourself why so many people have fallen in love with the area for nearly two centuries but consider yourself warned. You, too, might just fall in love! In the likelihood that it happens, you might want to keep our number so we can begin the search for the mountain property of your dreams. February 1-28:Sapphire Valley Ski Slopes and Frozen Falls Tube Park are open for the Winter Season! Enjoy two exciting hills a fun bunny hill for beginners/intermediate skiers and a main run of 1,600 feet in length featuring vertical drops of up to 200 feet that is ideal for the brave at heart. Grab inflatable tubes and go sledding with the entire family on a thrilling 500 foot run. February 4-6:Gametime for the Girls at the Old Edwards Inn in historic Highlands Grab a bunch of girlfriends and head to the mountains of Western North Carolina for this fun Anti-Super Bowl Weekend that includes pajama party complete with popcorn, games and chick flicks. Two night minimum stay to take part in the activities. For more information please call 828-526-8008. February 6, 13, 20 & 27:Headwaters Outfitters to host Fly Fishing Clinics each Sunday in February. Students will learn the basics of executing a roll cast, sidearm cast, overhead cast and bow-and-arrow cast, using 4- and 5-weight fly rods and reels provided by Headwaters. Waders and boots will be provided as well. Classes will take place on the banks of the North Fork of the French Broad River, adjacent to Headwaters Outfitters Fly Shop at the intersection of Hwy. 215 and Hwy. 64, 20 miles east of Highlands. Reservations are required. You can reserve a spot in the casting clinic by calling (828) 877-3106. $30.00 per person activity fee. February 8-10:Executive and Entrepreneur Coach, Susie DeVille Schiffli hosts her Thinking with a Whole New Mind workshop at the Old Edwards Inn in Highlands. For more information please call 828-526-8008. February 10 & 24:Old Edwards Inn welcomes you to join them for their popular Best Sellers in the Wine Cellar event Cocktails begin at 6:30 p.m. Hummingbird, followed by dinner at 7:00 p.m. in the Wine Cellar. Cost: $180 Author TBD. For more information please call 828-526-8008. February 11-14:Bring the one you love to the Highlands hotel who was voted winner of the Travelers Choice Award for 2010 and named Conde Nast Travelers #1 Hotel Spa in North America in 2010 the historic Old Edwards Inn in Highlands, NC this Valentines Day Weekend. Special romantic dinners served nightly at Madisons Restaurant from 6 to 9 p.m. Stop by the front desk to pick up a romantic movie and popcorn to enjoy in the privacy of your own luxury room. Guests can also arrange to have flowers, champagne, cheese trays, beautiful handmade chocolate arrangements or other surprises waiting for their sweetheart when they enter their room or suite. Two-night minimum (Friday and Saturday) with a special add on rate at $150. Live music in Hummingbird 6:30 to 9:30 p.m. For more information please call 828-526-8008. February 11-13:Whisk the one you love away for a weekend in the mountains of Western North Carolina to enjoy a very special Valentines Package at the Half Mile Inn Farm. Saturday evening includes the Farms annual Valentines Day dinner 5 courses, each perfectly paired with an exquisite wine. Packages include a hot country gourmet breakfast each morning, wine and hors doeurves each evening, 5-course wine dinner Saturday night, champagne and chocolate turn-down service. Call today as seating is limited to the first 11 couples. 800-946-6822. February 12:Martin Lipscomb Performing Center in Highlands to host the juggling and fire-eating Moldavian trio, Thimblerig Circus. More Details to come soon! February 18-19:Cheer on your favorite school during Highlands Jeopardy at Martin Lipscomb Performing Arts Center! Cost is just $35 per person, which includes ticket for Friday mixer and dance, and Saturday Highlands Jeopardy (includes one drink). The Alumni of University of Georgia and Georgia Tech go head to head for bragging rights in this inaugural Jeopardy-inspired competition. Competition begins at 3 p.m. Join the winning team for celebratory dinners hosted at two of Highlands finest restaurants. For more information, call 828-526-9047. February 19:4th Annual Sapphire Valley Outhouse Race thats right, we said Outhouse Race. This fun annual event benefits the Tamassee DAR School Ski scholarship, and features four ways to participate- build your own outhouse, rent an existing outhouse, sponsor an outhouse (GREAT FOR BUSINESSES) or volunteer for a race team. Of course, everyone is welcome to come cheer the teams on! Hosted at the Sapphire Ski Slopes in Sapphire Valley Resort from 3 to 6 p.m. For more information, call 828- 743-7100. February 19:Fly Fishing Guide Mac Marett of Headwaters Outfitters will demonstrate how to tie a muskie size Double Bunny Leech during this free fly-tying clinic in Rosman on Saturday 2-5 p.m. Bring your own vise and tie along with Mac - or just come, drink some freshly brewed Brown Bean coffee and watch. All materials necessary to tie these patterns will be available for sale. To register, please call (828) 877-3106. February 21-23:The Old Edwards Inn in Highlands hosts the Comfort Living Spa Retreat featuring Christine Eisner of Lifestyle Design. Learn how to lead a more balanced and meaningful life by transforming your surroundings. Christine will help you translate your inner priorities to enrich your home or work environment. For more information please call 828-526-8008. February 24-27: Highlands-Cashiers Players preset You Know I Can't Hear You When the Water's Running by Robert Anderson at the Martin Lipscomb Performing Arts Center in Highlands. Evening Performances begin at 7:30 pm and the Sunday matinees begin at 2:30 pm. Seats are just $20.00/person. For more information or to reserve your seats, call 828-526-8084. February 25-27:The Inn at Half Mile Farm hosts Winterscapes - Picture Perfect Weekend featuring special guest, award-winning photographer Joseph Aczel. This photography workshop is perfect for beginners to advanced photographers and kicks off Friday 5:30 p.m. with wine, hors d'oeuvres and supper. Evening an opportunity for photographers to meet Mr. Aczel and get acquainted with one another. Saturday class is from 9:00 a.m. - 4:00 pm and includes lunch. Sunday morning, photographers will gather for a sunrise photo shoot and breakfast. Cost is $175.00 per person. Space is limited and advanced reservations are required. Call 800-946-6822 for more information. February 25-27:Writers pack your pencils and head to the Old Edwards Inn for a very special Literary Writers Workshop Weekend. For more information please call 828-526-8008. February 26:Rekindle an old Highlands Tradition! Helen's Barn Dances provides a community gathering for full-time residents and visitors alike at The Bascoms Winter Dance. Februarys Winter Dance celebrates the Police Officers, Firefighters and EMTs that serve the Highlands-Cashiers Plateau. Admission is just $5/person and the dance lasts from 7 to 10:00 pm. The natural beauty and clean, crisp mountain air that have become tantamount among devotees of the Highlands-Cashiers Plateau have also served as inspiration for a revolving door of artists and musicians who find inspiration in a sunset over the ridge or fulfillment in the sound of their music being carried on a mountain breeze. 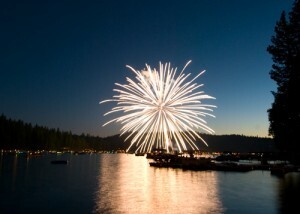 While many hearts and minds turn to thoughts of patriotism and what that means during the month of July, the Plateau is a veritable celebration of all that freedom brings far beyond the confines of Independence Day from food and wine to music and culture; from nature and gardens to friends, family and of course FIREWORKS! July is a wonderful time of year to escape the sweltering heat found at lower elevations, partake in riveting musical performances courtesy of the Highlands-Cashiers Chamber Music Festival (HCCMF) and Cashiers Mountain Music Festival, and tour some of the areas most stunning homes and gardens during the Mountains in Bloom Garden and Flower Festival. We hope to see you and your family on the mountain this July. July 1: The Bascom hosts a new Youth Art Program "Drop By : Flowers" from 10 am-4pm. $5 supply fee. To register or for more information, visit www.thebascom.org or call 828.526.4949, ext. 100. July 1: Join Relay for Life at the Highlands School in the Old Gym for Mountain Music from 6:45pm- 9:00pm featuring The Dendy Family and High Mountain Squares. July 1: Friday Night Live in Downtown Highlands and On The Hill show kicks off at 5:30pm featuring the talents of Perpetual Motion with Kathy Marchman Downtown, and Jennifer Beckles On The Hill. July 1-10: The rocking 60's musical Suds presented at the Highlands Playhouse. For more information, call 828-526-2695. July 2-3: Cashiers Third Annual Mountain Music Festival at the Village Green featuring Doc Watson & David Holt, Balsam Range, Rye Holler Boys and many, many more. Don't miss two great days filled with some of the most talented bluegrass musicians out there! Fun for the whole family with arts & crafts and a fun zone for the kids. Event concludes Sunday evening with a spectacular display of fireworks!! Tickets are $25 in advance, $30 the day of event, with children 12 and under free. Contact the Cashiers Area Chamber of Commerce at (828)743-5191 to find out more about this exciting once-a-year event! July 2: Charles Faudree Book Signing at Acorns on Church in Highlands from 10am-12pm and 2pm- 4pm. Faudrees nearly four decades as an interior designer have allowed him to work throughout the United States and Europe, and his designs have appeared in numerous publications and a variety of decorating books. Charles is also featured, and one of eight designers in the book Traditional Homes Signature Style. He accepted the award for Traditional Home's Designer of the Year in 1995 and was chosen as one of the "Top Designers in America" by the House Beautiful in 2002, 2003, and 2004. July 2, 5-8 and 11-15: Drama Camp at the Highlands Playhouse Children's Theatre - All children must be at least 6 years of age, have completed first grade and be able to read. The camp is a two week session, concluding with a free performance for family, friends and the community on July 16. Ages 6-10 9am-12pm, ages 11-14 1pm-4pm. Call 828-526-2695 to register. July 2: The Bascom hosts an Intergenerational Class "Drop By : Flags" from 10 a.m. to noon and 2 to 4 p.m. facilitated by Fayne Ansley. Tuition: $20. For information, call 828.526.4949 or visit www.thebascom.org. July 4: From the Silver Creek Real Estate Group Family to Yours ~ We wish you a Happy and SAFE Fourth of July! July 4: Fireworks at the Highlands Civic Center at 9:15 p.m.
July 4: Fourth of July House Party at the High Hampton Inn in Cashiers Picnic on the Lawn featuring barbeque, smores and live entertainment. July 6: Bach at Bucks Coffee Caf in Highlands a free HCCMF concert featuring Susie Park, Sara Sant'Ambrogio, and Molly Carr at 8 p.m.
July 6: Tooth Fairy Bingo at the Highlands Community Building from 6:30pm - 8pm. The Rotary Club of Highlands sponsors this special event to benefit the Blue Ridge Free Dental Clinic. July 7-10: The Bascom hosts the 13th annual Mountains in Bloom Garden and Flower Festival - Over 1,000 garden and nature lovers from all over the U.S. will come together to celebrate this multiple-day event featuring a tour of majestic mountain gardens throughout the Highlands Country Club, a flower show and photography competition, a home and garden market, a lecture and demonstration by Suzanne Rheinstein and an exclusive Benefactors Party. Proceeds support outreach and educational programs of The Bascom, a nonprofit visual arts center. July 8: Groovin on the Green with The Shawn James Band at the Village Green in Cashiers from 6:30 to 8 p.m.
July 8: Martin Lipscomb Performing Arts Center in Highlands celebrates the Opening Gala Weekend of the 30th annual Highlands-Cashiers Chamber Music Festival with a performance of Beethoven, Schubert and Ravel by The Eroica Trio; Molly Carr, viola; Janet Clippard, bass; and William Ransom, piano. Performance begins at 6 p.m. For more information, call 828-526-9060. July 8: Friday Night Live in Downtown Highlands and On The Hill show kicks off at 5:30pm featuring the talents of Mountain Hoo Doo with Lisa McAdams Downtown and Rebecca White On The Hill. July 8: Join Relay for Life at the Highlands School in the Old Gym for Mountain Music from 6:45pm- 9:00pm featuring JW Band (in memory of the Webb Family) and High Mountain Squares. July 9: Wings Flying Over Highlands Book Signing at Acorns Boutique on Main from 10am-12pm & 1pm-4pm. July 11: Martin Lipscomb Performing Arts Center in Highlands hosts an encore HCCMF performance of Beethoven, Schubert and Ravel by The Eroica Trio; Molly Carr, viola; Janet Clippard, bass; and William Ransom, piano at 5 p.m. For more information call 828-526-9060. Mondays, July 11-August 8: The Bascom hosts a Youth Art Program for budding artists aged 5 to 9 years old Summer Art Class A from 10 am to noon and for budding artists aged 10 to 14 from 1 to 3 p.m. $12 per session. To register or for more information, visit www.thbascom.org or call 828.526.4949, ext. 100. July 12-16: The Bascom hosts "Art of the Teapot" facilitated by Artist-in-Residence Rick Berman from 10 am-4 pm. Medium: clay Level: non-beginer to advanced. This five-day wheel and hand building workshop is dedicated to the art of the Teapot. Berman states, "The making of a teapot is the culmination of a potters knowledge. If a potter can make a teapot he or she can make anything." The process includes making a thrown form, a lid, a handle, and a bottle for the spout. Includes a bisque firing for pots to be taken home and glazed., then firing the glazed pots on the last day. Students are required to bring five to ten bisque fired pots made from any commercially made Raku clay or Phoenix Stoneware from Highwater Clay. Tuition: $475 members/$500 non-members. For information, call 828.526.4949 or visit www.thebascom.org. July 12-15: The Bascom hosts "Shards and Shaped Paintings" facilitated by Artist-in-Residence George Handy from 10 am-4 pm. Medium: mixed media: paint, paper, wood Level: all levels. Students will create at least one relief wall sculpture. Instructor, Handy, will guide students through planning and process stages of their creations as well as carving and assembling. Final stage includes painting with oil and/or acrylic. Tuition: $400 members/$425 non-members. For information, call 828.526.4949 or visit www.thebascom.org. July 13: Lakeside Restaurant hosts Evenings at Lakeside benefitting the Highlands Playhouse. Please call 828-526-9419 for reservations. July 14: Patrick Brannon of the Highlands Nature Center makes a presentation for all ages about Snakes of the Highlands beginning at 6 p.m.
July 14 - July 24: The Highlands Playhouse presents Harvey featuring Frank Collision as Elwood P. Dowd, is a man who claims to have an unseen (and presumably imaginary) friend, Harvey, a six foot 3 inch tall rabbit, This comedy of errors received the Pulitzer Prize for drama. The star, Frank Collison, is a California based Equity actor with numerous film and television credits. Please call 828-526-2695 for more information. July 15: Martin Lipscomb Performing Arts Center in Highlands hosts HCCMFs Jazz Meets Classics Dueling Pianists featuring Philip Thomson, Victor Asuncion, William Ransom, and Gary Motley in celebration of the Liszt Bicentennial. Performance begins at 6 p.m. For more information, call 828-526-9060. July 15-16: Saturday 12pm-7pm and Sunday 10am -5pm, the Highlands Civic Center is the site of the Summer Colors Fine Art Show, presented by The Art League of Highlands. July 15-16: David Arms Art Exhibition at Acorns Boutique on Main in Highlands. July 15: Join Relay for Life at the Highlands School in the Old Gym for Mountain Music from 6:45pm- 9:00pm featuring Shades of Blue and Clogging with Pauline Marr Team. July 15: Friday Night Live in Downtown Highlands featuring bluegrass music by Johnny Webb at 5:30 p.m.
July 15-17: The Old Edwards Club @ Highlands Cove hosts the Highlands Playhouse Annual Showhouse from 10:00 a.m. to 4:00 p.m. with tours of the Ogilvie Home, a multi-million dollar home with spectacular views. Interior Design by Darren Whatley Interiors. Shuttle service provided to the house from the pool parking lot. Cost is $25 in advance/$30 at the door. Tickets may be purchased at The Highlands Playhouse Box Office, Drakes Diamond Gallery, Town Place Condos model unit or call Pat Allen at (828) 200-9179. Proceeds benefit the Highlands Playhouse now in its 73rd Season. July 16: Albert Carlton Library in Cashiers hosts HCCMFs Jazz Meets Classics Dueling Pianists featuring Philip Thomson, Victor Asuncion, William Ransom, and Gary Motley in celebration of the Liszt Bicentennial. Performance begins at 5 p.m. For more information call 828-526-9060. July 16: The Bascom hosts "In the Style of Stella: Collage" an Intergenerational Class facilitated by Fayne Ansley from 10 am-noon. Tuition: $20. For information, call 828.526.4949 or visit www.thebascom.org. July 17: An encore performance as the Martin Lipscomb Performing Arts Center in Highlands hosts HCCMFs Jazz Meets Classics Dueling Pianists featuring Philip Thomson, Victor Asuncion, William Ransom, and Gary Motley in celebration of the Liszt Bicentennial. Performance begins at 5 p.m. For more information, call 828-526-9060. July 18: An encore performance as the Albert Carlton Library in Cashiers hosts HCCMFs Jazz Meets Classics Dueling Pianists featuring Philip Thomson, Victor Asuncion, William Ransom, and Gary Motley in celebration of the Liszt Bicentennial. Performance begins at 5 p.m. For more information call 828-526-9060. July 18: Wolfgangs Restaurant & Wine Bistro partners with Elton Slone to host the Robert Craig Wine Dinner. For more information or to make reservations, call 828-526-3807. July 19: Headwaters Outfitters hosts a Traditional Mountain Sports Fly Fishing Day Camp - The day begins, literally, by getting your feet wet! Campers discover first-hand what's on the menu for trout while exploring a pristine mountain stream to catch aquatic critters such as crayfish, stoneflies and mayflies. Campers are then introduced to all the gear they will be using in their quest to catch a big one, including rods, reels, line, leader and tippet. Campers will also enjoy lunch beside a primitively started fire, and get a chance to cook and eat what they catch over an open flame. The rest of the day will be spent honing fishing skills. Camp is limited to 9 participants. Reservations are confirmed with a 50% deposit. Professional instructors trained in Wilderness First Aid, CPR, and Whitewater Rescue. To reserve your spot call 828-877-3106. July 19-22: The Bascom hosts "Throwing Functional Pots" with Artist-in-Residence Bill van Gilder from 10 am-4 pm. Medium: clay Level: non-beginner to advanced. At the core of making pottery are the plate, the cup and the bowl. Class includes design, making and decorating techniques, plus rim manipulation techniques and trimming styles at the wheel - in a small group format. Tuition: $425 members/$450 non-members. For information, call 828.526.4949 or visit www.thebascom.org. July 19-23: The Bascom hosts "Desire Lines" with Artist-in-Residence Nancy Manter from 10 am-4 pm. Medium: mixed media Level: all levels. Workshop begins with an introduction and discussion about some of the historical as well as contemporary artists who have worked in the landscape using unique processes. Students will experience the landscape in multiple dimensions through an exploration of two diverse environments, inside and outside, creating multiple layers of imagery and materials. Photography, printing, drawing and layeringis all part of this workshop. Participants will work on individual pieces but also work together to create a large collaborative work to be exhibited afterwards. Tuition: $450 members/$475 non-members. For information, call 828.526.4949 or visit www.thebascom.org. July 20: Lakeside Restaurant hosts Evenings at Lakeside benefitting REACHof Macon County. Please call 828-526-9419 for reservations. July 21: The Highlands Nature Center hosts Float Down the Little Tennessee River from 10am-2pm a Canoe trip with lunch included. Registration required, $35 per person. For more information call 828-526-2623. July 21: The Highlands Nature Center hosts Nature by Night for ages 6 and up from 9pm - 10:30pm. Registration required, $2 per person. For more information call 828-526-2623. July 21: Headwaters Outfitters hosts the Traditional Mountain Sports Canoeing Day Camp - Paddling is perhaps the most ancient form of transportation in the world, and what better way to learn these skills than along the worlds third oldest river! The Cherokees called it the Long Man; we call it the French Broad! Beginning with on-land demonstrations, campers are introduced to the world of paddling. Easing into calm waters, campers will gain confidence as they learn how to maneuver their canoes using various paddle strokes. Plan on getting wet when experienced instructors teach the rescue skills needed to stay safe in the event of capsizing! Once everyone feels comfortable with their new paddling skills, youll head to the river! Paddling through gentle rapids, amongst the twists and turns of tree-lined banks, camp instructors will explain how to recognize and easily avoid the hazards commonly found on rivers. Camp is limited to 9 participants. Camps fill up fast so be sure to make your reservation. Professional instructors trained in Wilderness First Aid, CPR, and Whitewater Rescue. Day Camp Ages: 10-17 Rate: $175 and includes: Instructor: Camper ratio of 1:3, All Equipment & gear, Drinks & snacks during the day (campers are asked to bring a packed lunch). Reservations are confirmed with a 50% deposit. To reserve your spot call 828-877-3106. July 21-22: The Bascom hosts "Doodle Bugs" a Youth Art Program from 11 am-2 pm. $60 for a two-day mini workshop. To register or for more information, visit www.thebascom.org or call 828.526.4949, ext. 100. July 22-23: 35th Annual Cashiers Benefit Antique Show at the Blue Ridge School from 12 to 9 p.m.
July 22-August 26: The Bascom hosts "Pre School Creativity Classes" a Youth Art Program with Instructor Katy Calloway from 9-10 am. The very young, joined by a parent, will learn basic art skills to support personal creativity. Lessons will include scribbling, cutting, joining, modeling and painting. Ages 2.5-5. Class size is limited, pre-registration is required. $30 for a six-week session. To register or for more information, visit www.thebascom.org or call 828.526.4949, ext. 100. July 22: Martin Lipscomb Performing Arts Center in Highlands hosts HCCMF performances of Bach, Rachmaninoff, and Brahms featuring musicians Timothy Fain, violin; Chris Rex, cello; David Deveau, piano; Bruce Murray, piano; Elizabeth Pridgen, piano; Laura Ardan, clarinet; and Bruce Andrus, horn. Performance begins at 6:00 p.m. For more information, call 828-526-9060. July 22: Friday Night Live in Downtown Highlands and On The Hill Show begins at 5:30 p.m. featuring performances by Blue Ridge Music Downtown and Jennifer Beckles On the Hill. July 22: Join Relay for Life at the Highlands School in the Old Gym for Mountain Music from 6:45pm- 9:00pm featuring Mountain Top Bluegrass and Gospel (In memory of the Jenkins and Passmore Families) and High Mountain Squares. July 23: The Albert Carlton Library in Cashiers hosts HCCMF performances of Bach, Rachmaninoff, and Brahms featuring musicians Timothy Fain, violin; Chris Rex, cello; David Deveau, piano; Bruce Murray, piano; Elizabeth Pridgen, piano; Laura Ardan, clarinet; and Bruce Andrus, horn. Performance begins at 6:00 p.m. For more information, call 828-526-9060. July 23: The Bascom hosts an Intergenerational Class "Beyond Scarves" with Carol Singletary from 9 am-noon. Tuition: $20 per session. For information, call 828.526.4949 or visit www.thebascom.org. July 23: MountainTop Rotary's annual Quickdraw Fundraiser will be held at the Hudson House at Highlands Country Club beginning at 5:30 p.m. Valet parking is available. Tickets purchased before the event are just $50 and include good food, great beverages and a terrific time as you watch talented local artists create exciting one-of-a-kind art while beating the clock followed by a spirited LIVE auction as you bid for your favorite work of art. All funds raised will support the many community-wide functions of the Rotary Club. Call (828)-421-2548 or e-mail mtnpeak1@gmail.com for tickets. July 24: An encore performance at Martin Lipscomb Performing Arts Center in Highlands hosts HCCMF renditions of Bach, Rachmaninoff, and Brahms featuring musicians Timothy Fain, violin; Chris Rex, cello; David Deveau, piano; Bruce Murray, piano; Elizabeth Pridgen, piano; Laura Ardan, clarinet; and Bruce Andrus, horn. Performance begins at 6:00 p.m. For more information, call 828-526-9060. July 25: An encore performance at Albert Carlton Library in Cashiers hosts HCCMF renditions of Bach, Rachmaninoff, and Brahms featuring musicians Timothy Fain, violin; Chris Rex, cello; David Deveau, piano; Bruce Murray, piano; Elizabeth Pridgen, piano; Laura Ardan, clarinet; and Bruce Andrus, horn. Performance begins at 6:00 p.m. For more information, call 828-526-9060. July 26-29: The Bascom hosts "Happiness is a Warm Extruder" with Artist-in-Residence Hayne Bayless from 10 am-4 pm. Medium: clay Level: all levels. This workshop will give attention to the many facets of hand-building. Special focus will be given the creative use of the sometimes undervalued tool - the extruder. Each student will take away from this experience a finished product as well as some valuable insight. Tuition: $450 members/$475 non-members. For information, call 828.526.4949 or visit www.thebascom.org. July 26-30: The Bascom hosts "Composing the Landscape: From Photos to Photorealism with Artist-in-Residence Adrian Deckbar from 10 am-4 pm. Medium: painting and photography Level: all levels. Using the photographic eye to make selections from the landscape, students will begin this workshop with the camera, take their studies to the classroom, and convey them to the canvas. Under the guidance of New Orleans Photo-naturalist painter and photographer Adrian Deckbar, students will work with photographic principles and acrylic painting techniques. The use of colored grounds chosen to bring the image forward to the viewer will give students the opportunity to infuse their subjects with vibrancy. Tuition: $450 members/$475 non-members. For information, call 828.526.4949 or visit www.thebascom.org. July 26: The Highlands Cashiers Land Trust hosts Understanding The Black Bear as part of their Village Nature Series at Cashiers Village Green at 7 p.m. Learn about the black bear through the wonderful stories and photographs of a renowned local photographer, Bill Lea. Discover what makes this region so special at this free educational community event. Everyone is welcome, no reservations necessary. To learn more call (828) 526.1111 or email Julie.hitrust@earthlink.net. July 26-29: Highlands Nature Center hosts Mountain Explorers - Travel "off the beaten path" as you go hiking to a variety of mountain habitats off-site within the Nantahal Forest. Along the way, the group will observe nature and keep field journals of interesting discoveries, learn to read maps and use a compass, and develop teamwork through fun and adventurous trail activities. Please note that participants should be in good physical condition for long, all-day hikes. Cost $95 per child age 10-13 10am-4pm daily. Please call 828-526-2623. July 27: Lakeside Restaurant hosts Evenings at Lakeside benefitting The Bascom. Please call 828-526-9419 for reservations. July 28:Highlands Nature Center hosts From the Cherokee View at 6pm presented by Jerry Wolfe of the Tribal Heritage Preservation of the Eastern Band of the Cherokee Indians. Presentation for all ages 8 and up. July 28 - August 21: Highlands Playhouse presents Always Patsy Cline - Based on the true story of the singer's relationship with Louise Seger, a fan from Houston who corresponded with Cline until her death in 1963. Highlands Playhouse is pleased to welcome back Cindy Summers who will delight the audience once again. Please call 828-526-2695 for more information. July 28-29: The Bascom hosts "Kinetic Workshop: Art That Moves a Youth Art Program from 11 am-4 pm. $125 for a two-day mini workshop. To register or for more information, visit www.thebascom.org or call 828.526.4949, ext. 100. July 29: Groovin on the Green sponsored by Silver Creek Real Estate Group,features Velvet Truckstop at Cashiers Village Green from 6:30 to 8 p.m.
July 29: Martin Lipscomb Performing Arts Center in Highlands hosts the HCCMF Concert featuring the works of Haydn, Beethoven, Brahms, Bach, Barber and Vivaldi and the talents of William Preucil, violin; Charae Krueger, cello; Vega Quartet; Karen Bentley, viola; Kate Ransom, violin; Eun Sun Lee, violin; Timothy Albrecht, harpsichord; Doug Sommer, bass; and William Ransom, piano. Performance begins at 6:00 p.m. For more information, call 828-526-9060. July 29: Join Relay for Life at the Highlands School in the Old Gym for Mountain Music from 6:45pm- 9:00pm featuring Appalachian Blue Grass and clogging with Pauline Marr Team. July 29: Downtown Highlands hosts Friday Night Live with live music from Chris Miller at 5:30 p.m.
July 30: Albert Carlton Library in Cashiers hosts the HCCMF Concert featuring the works of Haydn, Beethoven, Brahms, Bach, Barber and Vivaldi and the talents of William Preucil, violin; Charae Krueger, cello; Vega Quartet; Karen Bentley, viola; Kate Ransom, violin; Eun Sun Lee, violin; Timothy Albrecht, harpsichord; Doug Sommer, bass; and William Ransom, piano. Performance begins at 5:00 p.m. For more information, call 828-526-9060. July 31: An encore performance at Martin Lipscomb Performing Arts Center in Highlands as they host the HCCMF Concert featuring the works of Haydn, Beethoven, Brahms, Bach, Barber and Vivaldi and the talents of William Preucil, violin; Charae Krueger, cello; Vega Quartet; Karen Bentley, viola; Kate Ransom, violin; Eun Sun Lee, violin; Timothy Albrecht, harpsichord; Doug Sommer, bass; and William Ransom, piano. Performance begins at 5:00 p.m. For more information, call 828-526-9060.